Check out their FAQ page or the Facebook group for more info if you're not familiar. Basically, there is a new group-voted theme each month, you buy as many as you want, all from different makers, and you get a flat rate shipping cost of just $3 (US and Canada). All photos in this post are taken under artificial light. The majority of photos are under direct light and the last two were taken in a light box to show off the shift. All are topped with Glisten & Glow HK Girl topcoat. This polish was provided for my honest review. 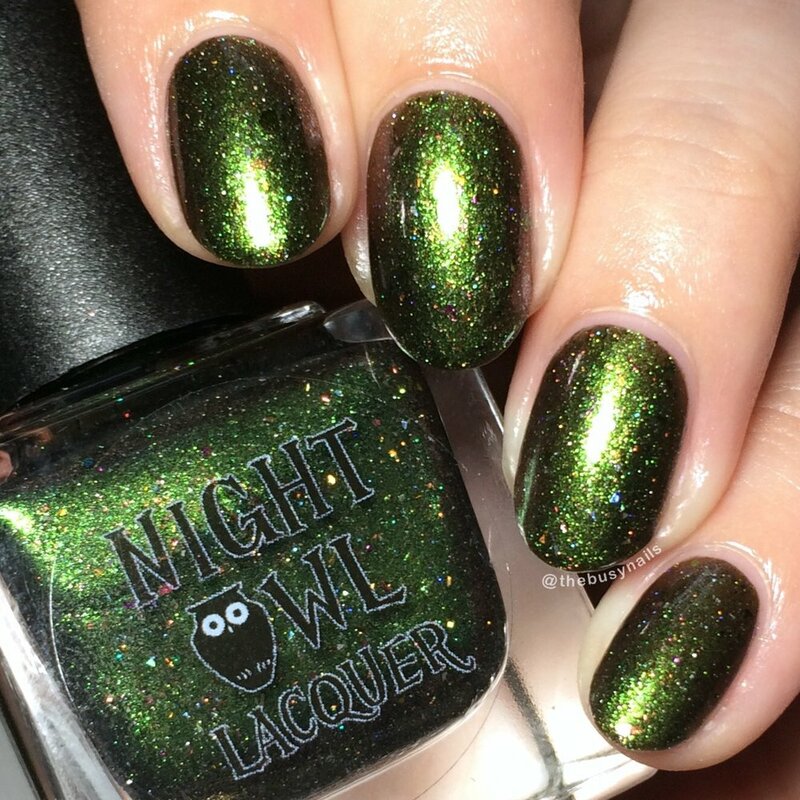 Maker description: a blackened base with green to red shift, silver holo shreds and UCC flakies that shift red/copper/gold/green. Formula: No issues to report. This applied easily and evenly. Shorter nails might get away with two coats. Finish: I love the shimmer in this! 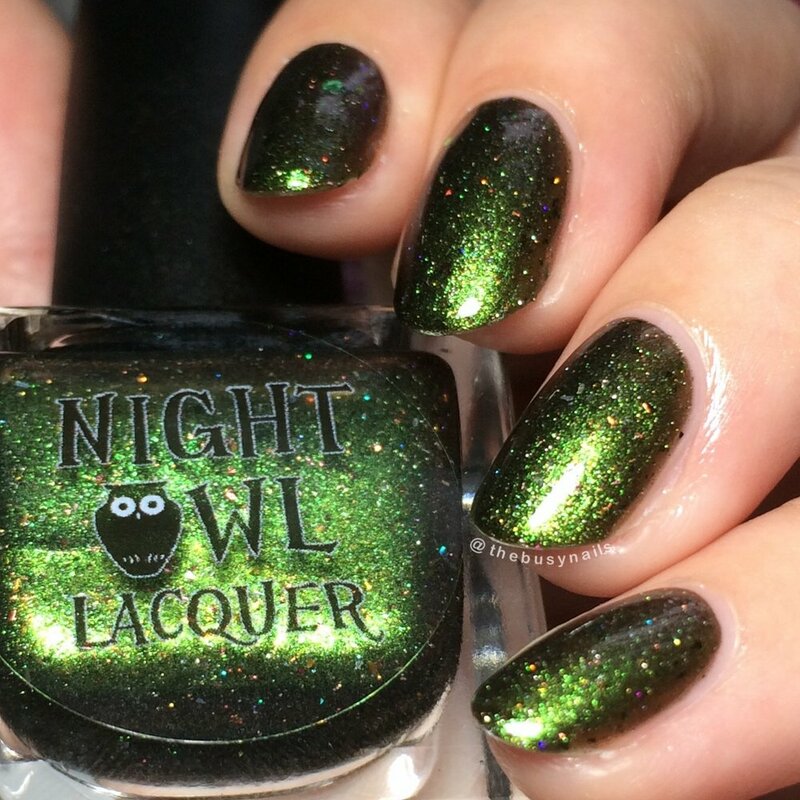 The blackened base is very apparent - on the nails it's very dark and you see the glowing green where the light hits it. It feels perfect for Halloween, but I could totally see repurposing this for Christmas with that reddish copper shift. The shift in this was shy for me, but can be seen in lower lighting or extreme angles (see the last 3 photos). 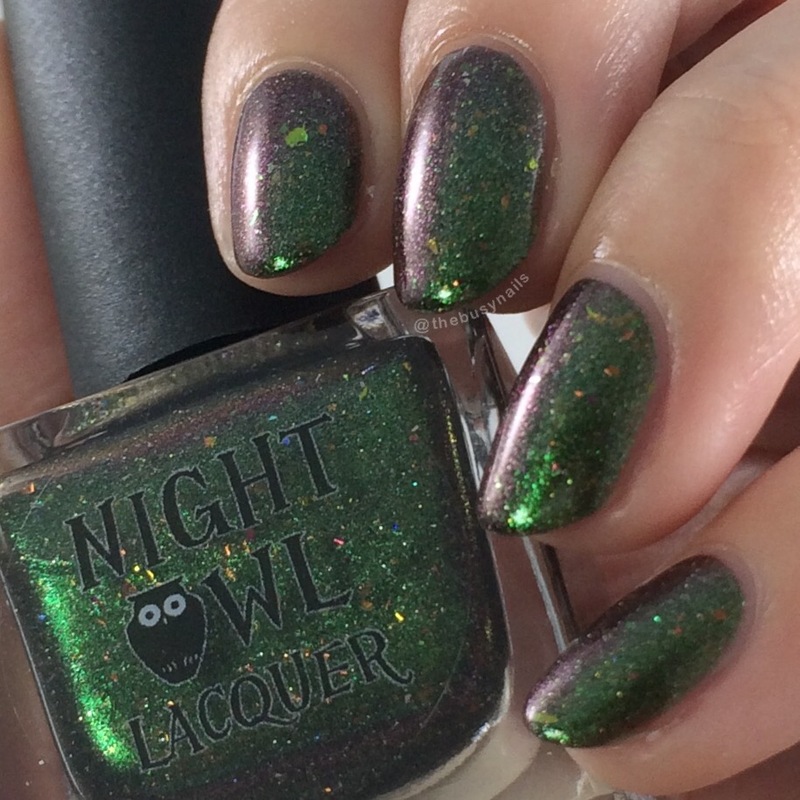 Added Note: I also wanted to mention that this has a slightly different smell than other polishes I've tried from Night Owl Lacquer - it's not bad, just stronger than normal and sort of, plastic-like? Hard to explain, but it's due to the shifty pigment. Noticeable, but nothing that would make me not wear this shade.